During the 1930s, Bobby (Jesse Eisenberg) is a Bronx-born kid who travels to California with hopes of making it big in the film industry. Lucky for him he has an uncle, Phil (Steve Carell), who works in the movie business and knows all the right people. Bobby is quickly introduced to the who's who around town and finds himself first fascinated, then disillusioned with Hollywood. 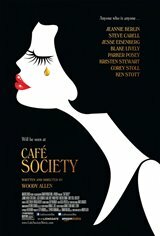 Along the way he makes friends with some fascinating women (Blake Lively, Parker Posey), falls in love with Phil's sweet secretary (Kristen Stewart) and gets into trouble with his nightclub owner/mobster brother (Corey Stall), all while navigating the successes and pitfalls of attempting fame in Old Hollywood.